This Vanquisher will help you Vanquish your foes. Destiny has its fair share of truly awesome weapons that range from bizarre short range shotguns to atom splitting sniper rifles, but here’s some information on one the games Legendary Auto Rifles. 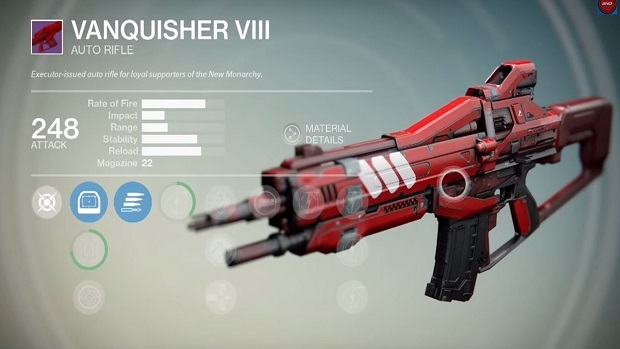 The Vanquisher VIII is a Legendary Auto Rifle is a smashing little level 20 rifle that can be brought from New Monarchy for a total of 150 Crucible Marks alongside one Crucible Commendation. The official description for the rather pricey Rifle reads, “Executor-issued auto rifle for loyal supporters of the New Monarchy”. 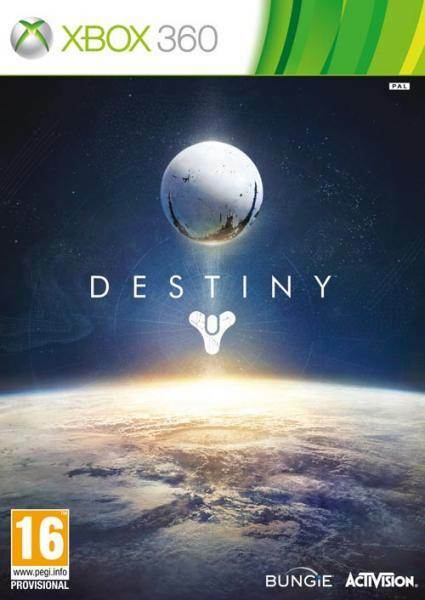 You can also get your hands on it by decoding engrams, though that may take a while if you’re not particularly lucky. The rifle comes with features and upgrades such as accurized sights for added accuracy , increased handling capabilities, a mid range scope that comes bundled with recoil control. The last 50% of your magazine deals increased damage and each kill will increase your reload speed for a short while. The weapon overall features low recoil. The entire list of features, upgrades and states can be checked below the video. Hammer Forged: Improves accuracy and range. Single Point Sling: Switched weapon quickly. Quick Draw IS: Improves handling. Glass Half Full: Causes additional damage. Ranged Lens RLS3: Improves recoil control.